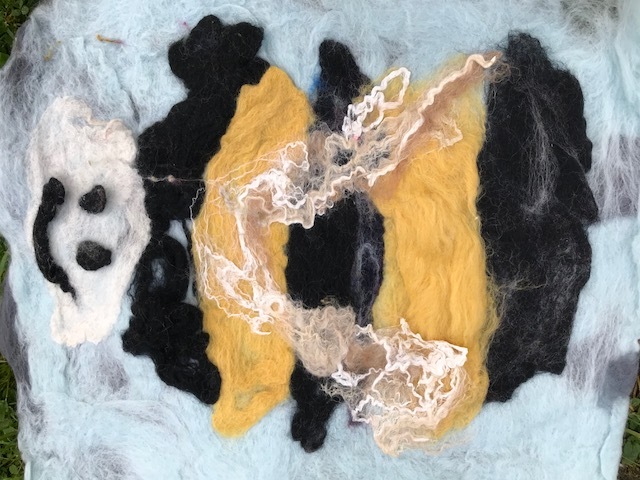 Stitch in Time provides weekly creative art and textile reminiscence workshops on the RUH older patients units led by our Visiting Artists, Edwina Bridgeman and Charlotte Stowell. 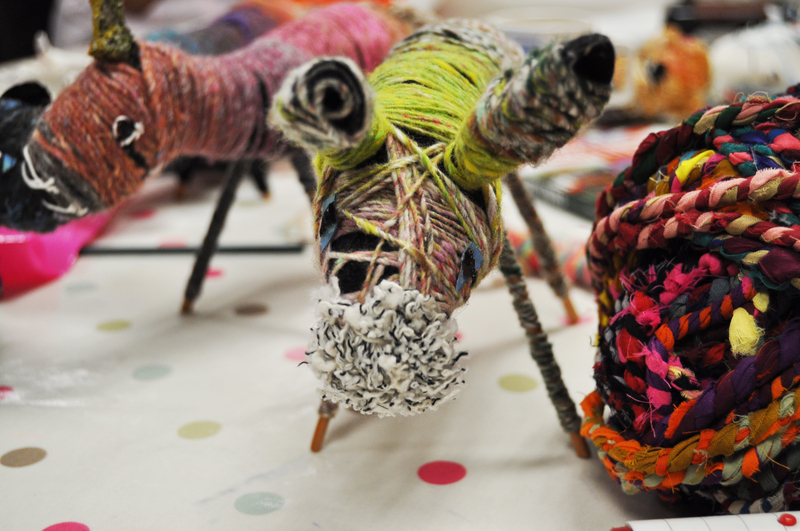 The workshops are co-produced by textile students and volunteers. Stitch in Time Workshops take place every Friday morning 10am-12pm on Combe Ward. Please click on the image below to see a flickr gallery of artwork produced in Stitch in Time workshops from September – November 2018. 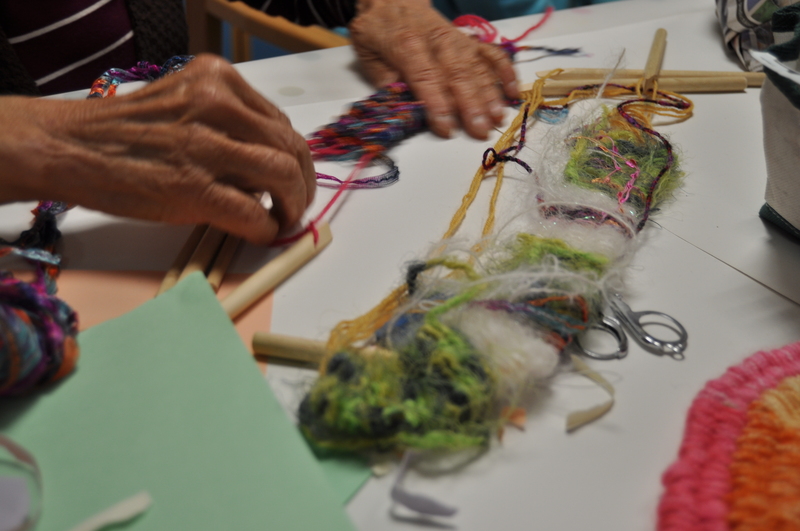 The workshops incorporate a range of images and creative textile processes, taking elements from one-to-one and group conversations on the wards as well as sharing of memories. By encouraging and supporting social skills and interaction between patients, we hope to increase patients’ self-esteem and confidence by introducing them to a new skill that they can then share with their family, friends and loved ones. Waterhouse Ward have kindly put their Therapy Room aside for Stitch in Time workshops on Friday afternoons and also inviting patients who would like to take part from Midford Ward. “Arts Engagement can boost brain function and improve the recall of personal memories; it can also enhance the quality of life of people with dementia and their carers.” All-Party Parliamentary Group on Arts, Health and Wellbeing. Art at the Heart is working alongside The Forever Friends Appeal ‘Friendly Faces’ project. 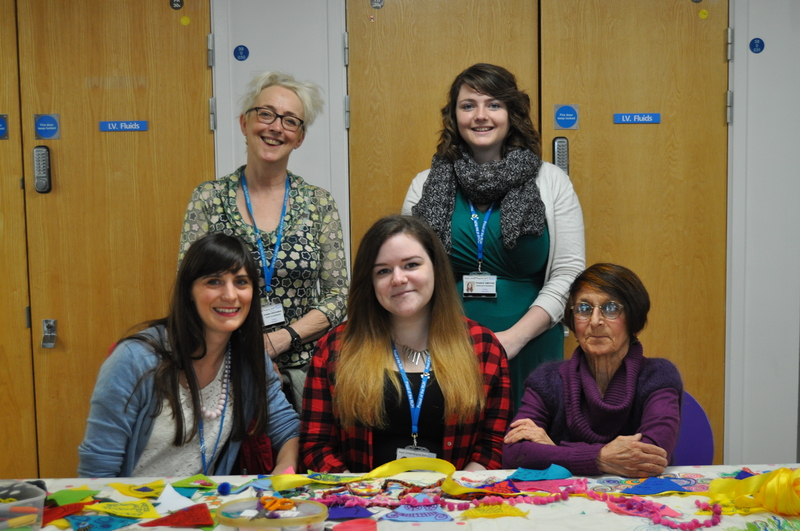 Our artists can help to train volunteers so that they are able to assist or deliver their own workshops on the wards. Work created during the workshops is often developed by our volunteers or sometimes even by patients on the children’s ward to create a series of public artworks throughout the year. 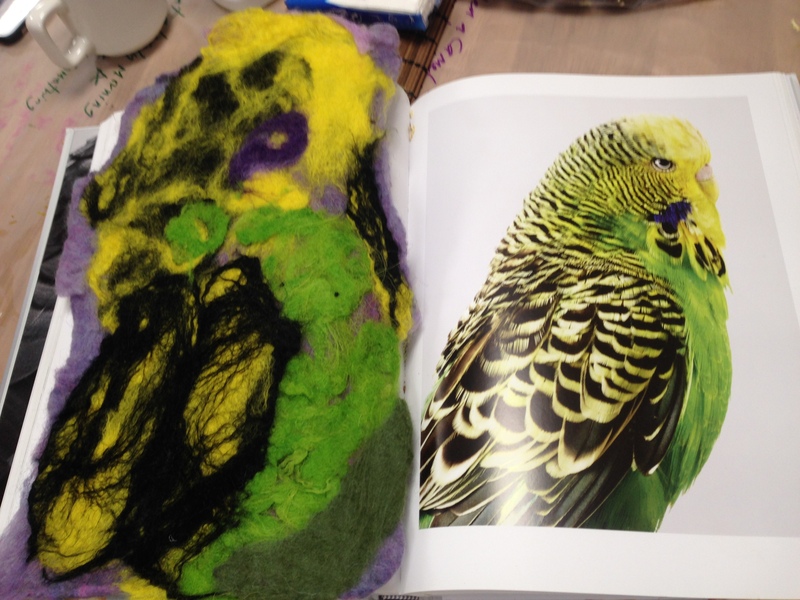 The image below is a felt bird made in response to the bird book that Edwina brought to the ward. The patient who created this piece had previously kept birds, and was upset that he was no longer able to. The book brought back some sad memories for the patient, but the process of making the felt distracted and relaxed him, he enjoyed physically rolling and turning the work. Having the distraction made a real difference to the patient’s morning. 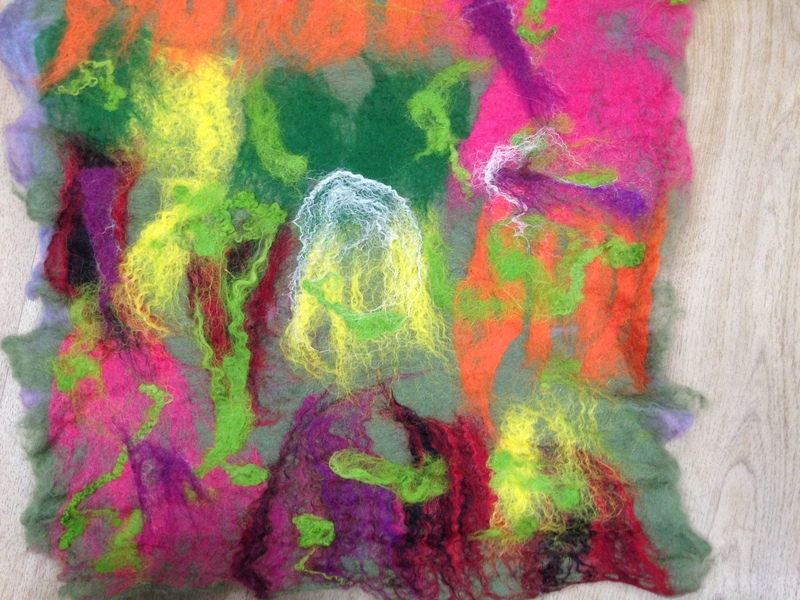 The technique of felting is very sensory allowing a wide variety of patients to be able to engage despite any sensory problems they may have. 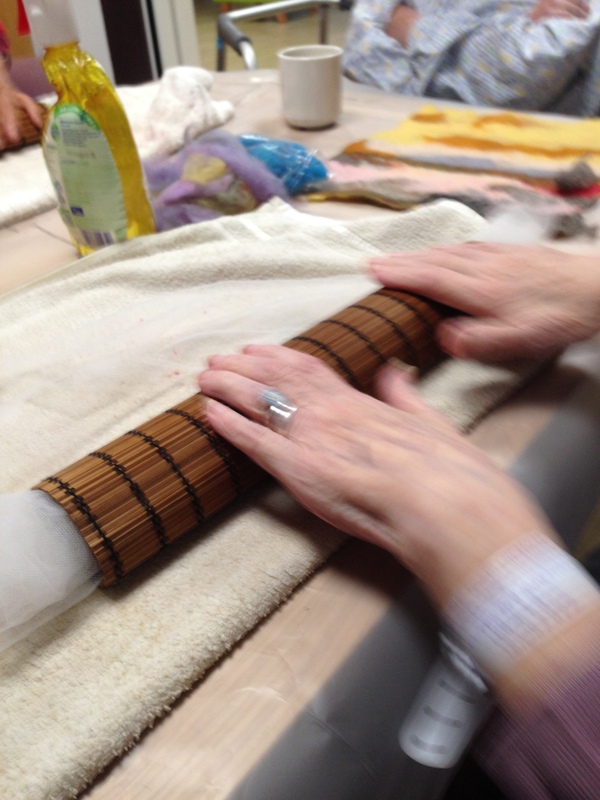 The technique is extremely tactile which can be a particularly engaging sense to connect with, especially for those living with dementia. Sensory stimulation has been shown in recent studies to decrease agitation and restlessness, as well as improve sleep for those with Alzheimer’s disease and other forms of dementia. 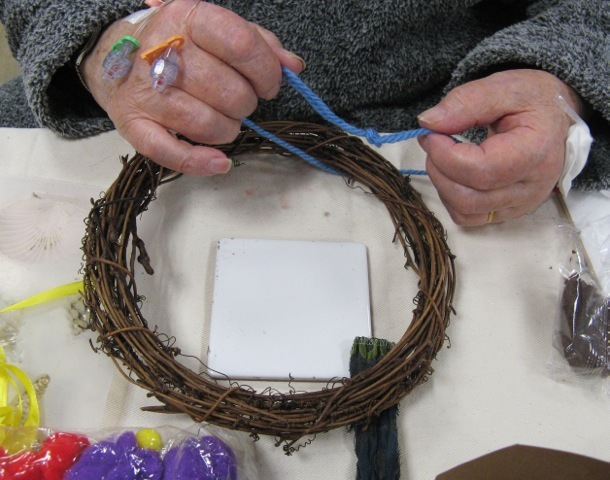 Research shows that creative activities can enhance the quality of life, improve communication, empathy and understanding of needs of patients with dementia. These stimulating activities can reduce stress and the perception of pain, and often leads to a reduction in the level of medication required, number of falls and can shorten lengths of stay in hospital. 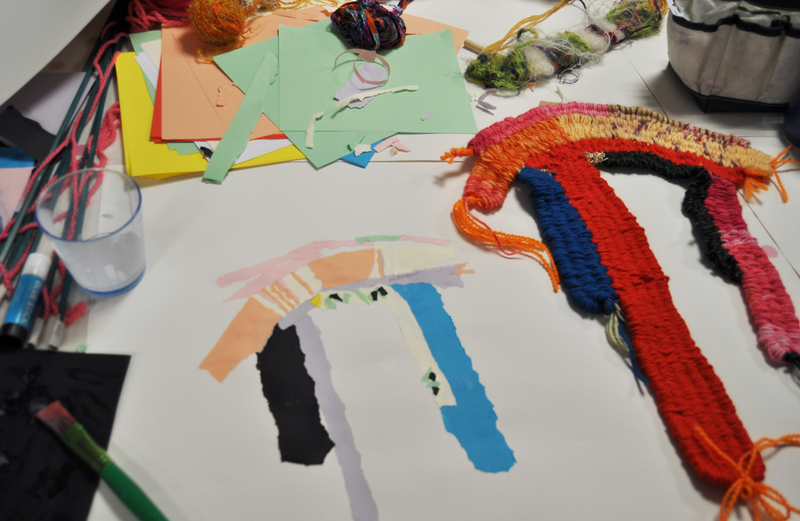 These creative activities also open up a forum for discussion and communication, making people feel more relaxed and calm and more likely to voice anxieties, fears, recall memories and form networks within the group. 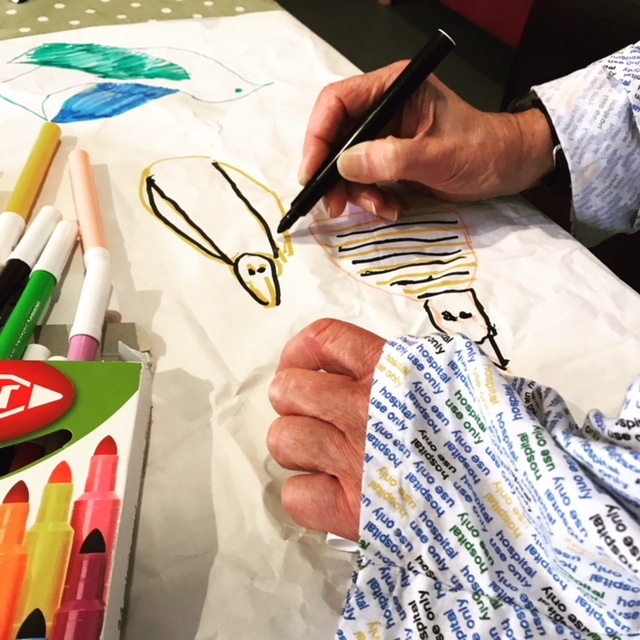 Artist in Residence, Edwina Bridgeman runs Stitch in Time on Combe Ward; a recently re-furbished award winning dementia friendly ward for older patients which features a spacious and homely Dayroom large enough to accommodate a range of activities. I in 4 beds at the RUH are occupied by an older person living with dementia. The hospital can be an isolating and confusing experience for someone who has dementia and coupled with their clinical needs, they can often endure long periods of inactivity. The Stitch in Time workshops facilitated by Edwina and volunteers produce some fascinating, lively conversations and interactions between patients, staff and family/carers. 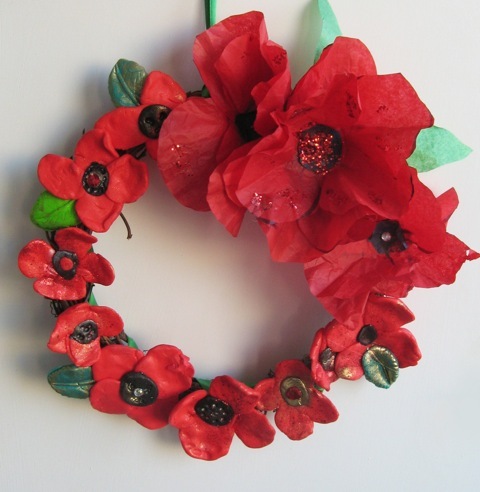 The project is further enhanced when our musician in residence, Frankie Simpkins plays her ukulele and sings on the ward whilst the workshop is running. This often results in a sing along and on occasion even a patient at the Day room piano.